Colorful characters once populated the Upper Mississippi River Valley swamps and floodplain forests. These are the river rats, hill folk, and swamp dogs whose stories Kenny Salwey tells so well. Now long gone, these legendary denizens of the river bottoms come alive in Kenny’s signature brand of storytelling, rife with insight and laughter, woodslore and a time-tested philosophy of the natural world. With a foreword by regional historian Gary Schlosstein, this deep delving into the old-time community of the Mississippi River presents a rich picture of a life as fascinating as it is fast-disappearing in our fast-paced, high-tech world. Kenny Salwey is a woodsman who has spent his life in the backwaters of the Mississippi River. 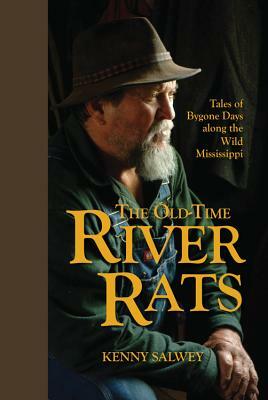 He is the author of The Last River Rat and Kenny Salwey\u2019s Tales of a River Rat and the narrator of the award-winning documentary Mississippi: Tales of the Last River Rat. A popular nature speaker since 1988, Kenny travels the upper Midwest talking to groups. Kenny and his wife, Mary Kay, live outside Alma, Wisconsin.